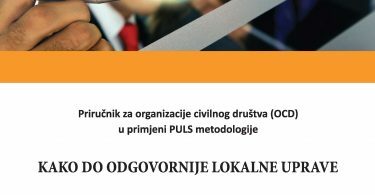 Description: “Bylaws – a Prerequisite for Effective Liberalization of Labor Market” is the second of the three planned guidelines for preparation of a policy, created within the implementation of the project “Liberalization of the labor market”. 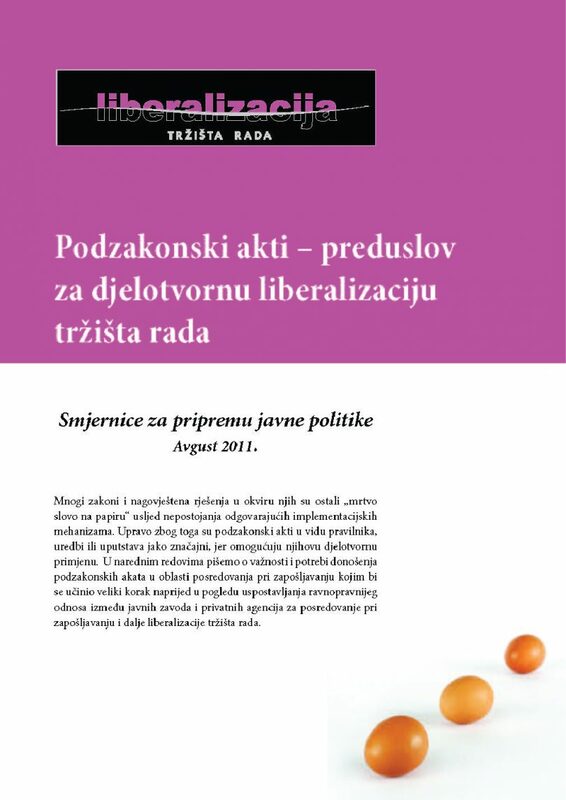 These guidelines discuss importance and necessity of adopting bylaws in area of job searching support, which would make a major step forward in regard to establishment of a more equal relationship between public institutes and private agencies for job searching support and further liberalization of the labor market. In support of this, an interesting good example of public-private partnership in area of employment in the United Kingdom is presented. The publication is available only in local language.